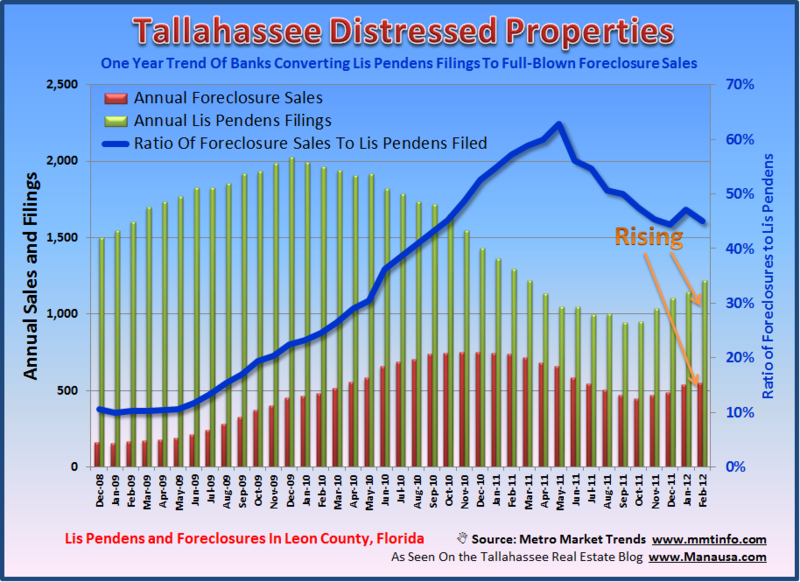 New lis pendens filings in Tallahassee rose a whopping 105% in February when compared to February 2011, and foreclosures jumped 32%. We are definitely seeing a huge escalation in these distressed properties, as the lis pendens filings trend has been on the rise for five months now, which could be the sign of growth in future foreclosure sales. Currently, the foreclosure sale to Lis Pendens filings ratio has dropped from an all time high eight months ago to 45%, as we can see with the blue line in the foreclosure graph above.